Academy Award® nominees Ryan Gosling and Bradley Cooper star with Eva Mendes and Ray Liotta in this epic, riveting crime drama about the unbreakable bond between fathers and sons. 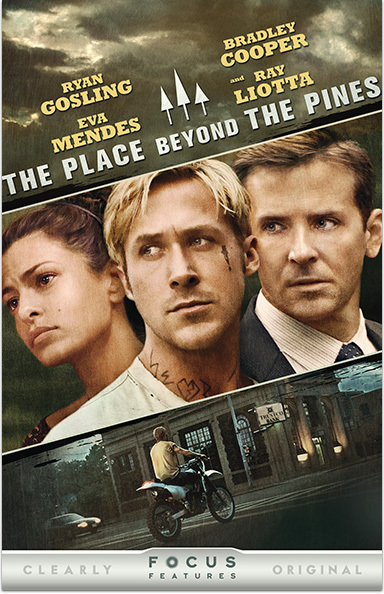 THE PLACE BEYOND THE PINES © 2012 Focus Features. All rights reserved. Academy Awards® is a registered trademark of the Academy of Motion Picture Arts and Sciences.